Over the years, the Saf-T-Liner® C2 school bus has earned a reputation for safety and efficiency. It offers outstanding maneuverability, exceptional driver ergonomics and best-in-class visibility among Type C buses. Yet it’s also one of the most innovative vehicles around. It revolutionized the school bus industry by introducing BusWise® Technologies, a full suite of robust safety, efficiency and serviceability features. That’s innovation for the sake of every kid’s commute. That’s Thomas Built Buses. 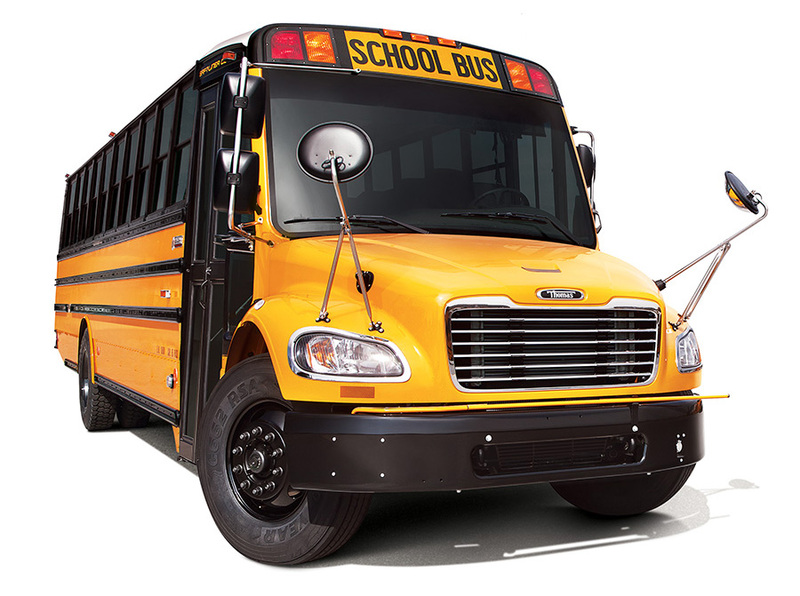 At Thomas Built Buses, we know that school systems want to get the most out of their transportation budgets. That’s why we build our buses to a higher standard of durability. Thomas Built is pleased to offer a base warranty of three years or 50,000 miles on the Saf-T-Liner C2. This warranty covers the chassis, electrical and manual controls, safety equipment, assemblies and more. Normal wear items are excluded.